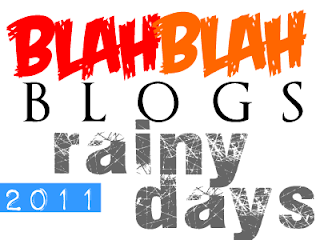 Blah Blah Blog RAINY DAYS: May DTI Permit Ba Yan? Maria La Del Barrio will feature two of the hottest stars in the industry today, Erich Gonzales and Enchong Dee, as they give life to the characters of Maria Hernandez and Luis Dela Vega. COUNT ME IN! Help World Vision Philippines to Get 11,000 Kids to School! The School year has started yet many of Filipino children are deprived of the right to education because of poverty. This are the main reasons why there are still a lot of poor people in the country. As the government is also limited in providing free education its good to know that there are foundations that aid the cause to send more children to school to be better citizens. World Vision is a Christian relief, development and advocacy organisation dedicated to working with children, families and communities to overcome poverty and injustice. Motivated by our Christian faith, World Vision is dedicated to working with the world’s most vulnerable people. World Vision serves all people regardless of religion, race, ethnicity or gender. At last the long awaited movie before superheroes assemble on 2012. 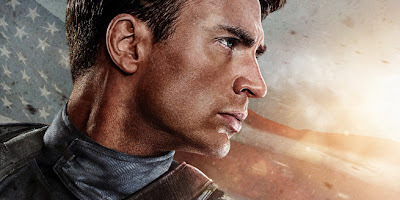 Captain America: The First Avenger has made people excited and would have a peek on what will happen next. 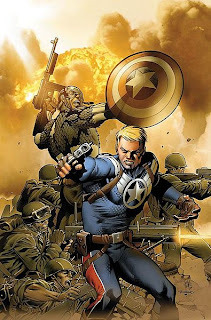 Interestingly enough, Captain America has a great story behind his power and the enemies that he faced. Rose Byrne plays “HELEN” in Paul Feig’s BRIDESMAIDSAs we have featured BRIDESMAIDS in our Reel Deal, lets take a closer look at the characters behind the comedy hit of the year. Rose Byrne would rather appear in a comedy than win an Oscar. The 31-year-old actress admits her career has changed dramatically since appearing in 'Get Him to the Greek' and 'Bridesmaids' and she loves the material she is now being offered. She said: "Doing 'Greek' and 'Bridesmaids' has been a massive turning point for me. "I'm Australian. I love humour. I come from a family that laughs a lot and my favourite films are comedies. "Some people want the Oscar and others want the big role. But I've always wanted to do comedy." 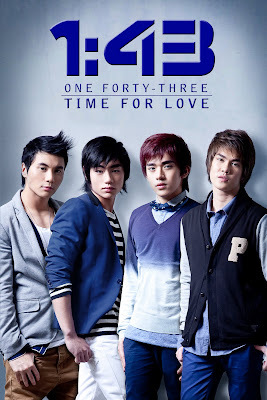 OPM pop sensation 1:43 (pronounced as “one forty-three”) rule the local record bars with their debut album “Time for Love” by consistently being on the top 10 bestselling OPM album charts since it was launched in April. Now on its third print, the slambum or slambook-album under MCA Music continuously rakes sales and competes with the records of popular OPM artists despite having minimal television and radio exposures. In fact, it landed on the No. 2 spot in Odyssey’s top OPM albums last April. “Time for Love” currently enjoys the No. 4 spot in the Best-selling OPM Album Chart of Astroplus. 1:43’s popularity is likewise evident in their school and campus shows that are always packed with screaming fans, especially teenage girls, that go crazy over them. The Pandayang Lino Brocka Political Film and New Media Festival is a cultural gathering that aims to inspire the creation and popularization of truthful, artistic and relevant audiovisual works to enlighten and cultivate critical consciousness of the mass audience. This maiden launch of this festival in 2009 aims to be an aggregate of efforts in political cinema production and distribution in the first decade of the 21st century, a time of worsening economic crisis aggravating the poor people’s plight. Unionbank and Gcash Makes Banking Easier with eMoney XCHANGE! Banking is one of the thing I don't like to do, there is a lot of hassle of falling in line and also finding the right bank to make deposits and savings. Since I also have a paypal account, there are rarely a lot of banks that support linking the paypal account. Luckily there is Unionbank with their Visa EON Card which many paypal users in the Philippines use to link their accounts. Things also get better as Unionbank Eon account can now transfer amounts to your Gcash and vice versa. This would be a great help to people who work, buy, and sell online as it becomes banking becomes more convenient and secure. Due to brisk sales and high demand, Avida Towers Centera is launching its second Tower on July 23, 2011, only four months from the launch of its first Tower, to make way for a fresh set of inventory available to buyers. Avida Towers Centera, which was launched just last March 2011, is a joint venture project with Philippine National Bank (PNB). It is a four-tower residential condominium soon to rise along EDSA cor. Reliance Street in Mandaluyong City. 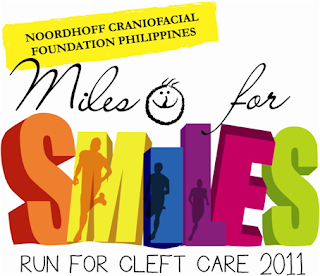 Runners you can join another run for charity in Miles for Smiles Run for Cleft Care 2011! This event is presented by Noordhoff Craniofacial Foundation Philippines, Inc. (NCFPI), the Taipei Economic and Cultural Office in the Philippines (TECO) and Smile Train to raise public awareness that “bingot” or cleft and other craniofacial conditions are treatable and that free comprehensive care is available. Though he can't fly or have laser vision, Captain America is one of my most favorite characters in the Avengers as he proves that you don't need super special powers to deliver justice. As a symbol of national pride and freedom, it would motivate me to do better in what I do right now. Even though I'm not an American, he does not look down on any race or culture. The pure intentions to serve his nation and it citizens was also one of my inspirations to be either a soldier or public servant someday. Everyday millions of blog post are made worldwide and most of them are written in English which is still the universal language for business. Bloggers usually write freely and posts faster yet sometimes to careless to notice grammar and spelling errors. As the blogger does all the work like photos, video and content, one may overlook the importance of proofreading to the blog and its readers. The Internet is indeed a vast marketplace of goods and services. However, knowing the right website to perform such transactions are very important so one can be assured of the quality of service and speed of transactions. Though there would be a thousand websites offering these services, some of them looks to cluttered and may confuse the user. If the movie about a Stag Party gone wrong grabbed our attention now its the ladies turn to be get really really wild. BRIDESMAIDS is no ordinary chick flick with love and other things, its more. This bring together a group of ladies each having unique personalities that usually don't mix. Its stars Kristen Wiig as Annie, a jewelry store attendant who used to have her own bakeshop but was eventually closed and lost a lot of money. By her side is Lillian, played by Maya Rudolph, which is going to get married and get Annie as her maid of honor. You think the MRT or LRT is the densest place on Earth but they would not come close to the non electric train by the Philippine National Railway. Used to be feared by many as the most unwanted transportation system in the country because of the decayed cabins and the tracks that used to be inches away from houses which are vulnerable to be run over by the train if not careful has now evolved into its real purpose as a functioning train system minus the side tenants. I'm bringing my blogs into a whole new level. More features, better graphics and more stories to share for the three major blogs under the MTL group of blog companies (LOL). Like TV and radio stations that change their station IDs every now and then. I like to do the same for my blogs to give them a fresh look. However, I am avoilding any major changes in the logo and other contents that would confuse the readers. Last Month, I started with MTL's lighter look. Now with the revival of my comic strip at Krisis Komix (www.krisiskomix.blogspot.com), and also the rise of the food events at FudFyt (www.fudfyt.blogspot.com). It will be a very busy week for me to make all of these changes. but I hope you would like them as I am doing it for all of you(Aww...). And by the way don't forget to like their facebook fan pages! Cristine Reyes Leads Powerhouse cast of New Teleserye REPUTASYON Banners Kapamilya Gold After Eva Fonda and Kristine, Cristine Reyes has a new teleserye that is now part of ABS CBN's Kapamilya Gold, REPUTASYON is led by Christine Reyes.. ABS CBN drama on a different level via REPUTASYON which started airing last July 11. Yengsters! There is a lot of reasons for you to be excited with Yeng Constantino. Aside from her shows like M. U. Live, she will have a concert this coming August 5, Friday, 8 pm at the Aliw Theater. 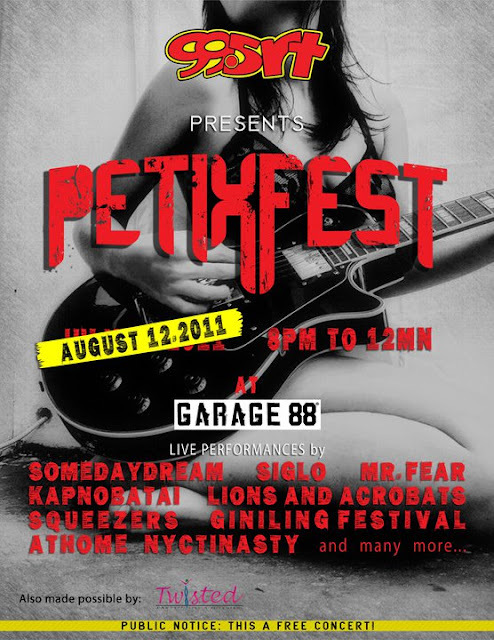 With guests Gloc 9 and Raimund Marasigan. It will be her second major concert and she as well is very much excited for this project. She has been busy lately one of which is directing Jaime Rivera's latest music video "Letting Go". Cagayan de Oro City, Philippines – The United Nations World Food Programme (WFP) and the Philippine Government are extending the emergency response to Tropical Storm Washi to focus on remote, cut-off areas around Iligan City. Working closely with the Department of Social Welfare and Development (DSWD) and with airlift support from the Armed Forces of the Philippines, WFP has already supplied emergency food assistance to almost 3,300 people stranded in Mungulong, outside Iligan City. Plans are now underway to airlift food rations to other isolated communities around Iligan City such as Panoroganan where almost a thousand people are in need, and Mainit, where another 1,350 people require assistance. Blah Blah Blog RAINY DAYS: To Zoo or Not To Zoo? TO ZOO OR NOT TO ZOO... That is the question. Another trendsetter this week was the Infamous condition of the Manila Zoo posted in a post by Propinoy.net. The post showed the very poor condition of the animals with their nutrition and also their health and also untreated wounds. It is really a sad to see the animals at this conditions, especially it was my first zoo experience in my life. And I have been to several other zoos like Avilon and Malabon which takes good care of the animals. Though I prefer seeing animals in the wild but zoos can be a source of a sanctuary for animals that needs special care and not primarily for entertainment. I'm dying to be part of the World Youth Day, though it was held here back in 1995, I never got the chance to participate directly since I was young back then. World Youth Day is one of my dream destination as it is a holistic and spiritual experience with the youth of the world. Unfortunately, I don't have the means to afford airfare to Madrid, but I am still hoping to be part of the next. 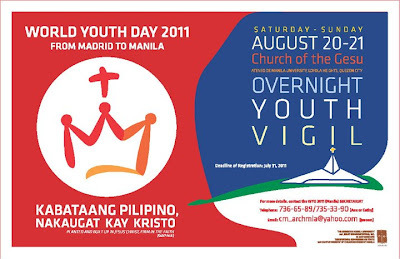 However, as of the moment I can still be part of the WYD here in Manila. What has been the most defining moment of your life? In history, we look at the significance of all the people who fought for the freedom that we are all enjoying now. We look at their contributions to society, what made them distinct and what made them particularly special. Out of the hundreds of heroes, popular or unsung, who risked their lives for the country’s freedom, one person stood out with his writings and inspirational ways—Dr. 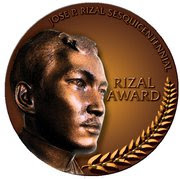 Jose Rizal. FILIPINOS bring out their best in times of adversity—and now that Original Pilipino Music (OPM) is slowly fading, Filipino artists and audiences are working together to save it. Efforts are currently focused on the second leg of Tunog Natin free OPM concert series to be held at the grounds of Avida Towers Centera along EDSA Corner Reliance St. on July 23 at exactly 7pm. Presented by Avida Land Corp., the concert showcases the best of Filipino music through the years. It coincides with the launch date of the second tower of Avida Towers Centera, Avida’s latest condominium offering in Mandaluyong City. Peactech: Paving the Road to Unity Starts Now! We are in a world where people don't have that sense of trust because of stereotypes and discrimination that leads to conflict and even war. The Nation is still divided more than the number of the islands of the archipelago. Peace seems today like a fantasy that is far from what we have today. However, imagine if we could give people from different backgrounds the opportunity to speak with one another, live, on giant screens! Just maybe it would reduce ignorance, promote understanding and ultimately, lessen conflict! The Cultural Centre of the Philippines and the Philippine Baranggay Folk Dance Troupe (PBFDT) join forces to celebrate the 65th Anniversary of the PBFDT – the longest running folk dance troupe in the country, founded in 1946 by Dr Paz-Cielo A Belmonte – and proudly presents their gala show 'Balangay'.